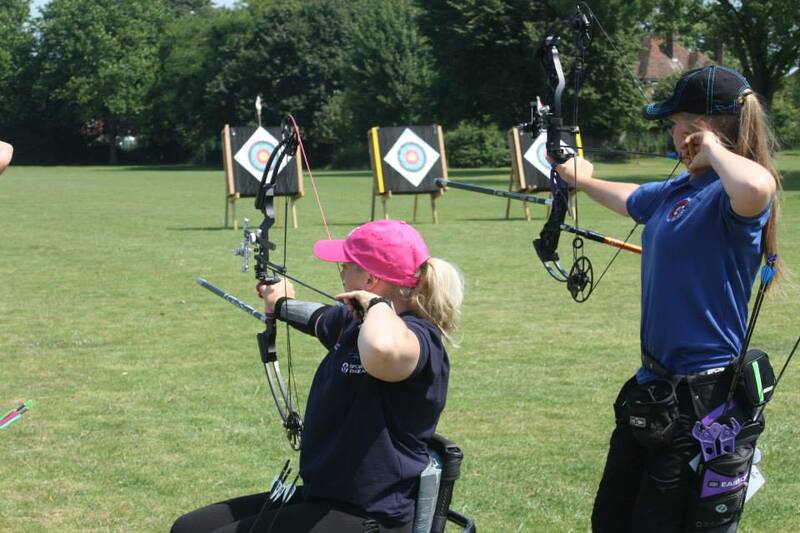 Rebecca (right) taking aim at the Kent Para Championships. Meanwhile I spent the weekend down in Andover shooting one of the country’s largest competitions – the annual Andoba Double FITA/WA Star. 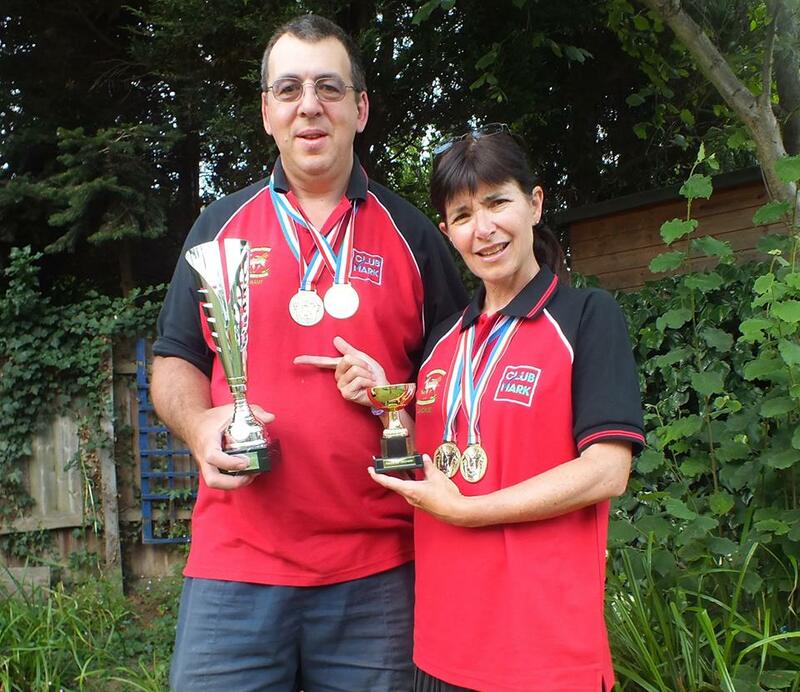 Pretty simple, a full FITA/WA 1440 90m shoot on both days – winner with best combined scores wins. Saturday was very hot and sticky but I was happy with 1218 to finish 7th overall, alongside regular shooting mates Michael Judd and Ian Harris. The BBQ and beer afterwards was possibly the best meal I’ve ever had…Sunday dawned cooler with a strengthening easterly breeze making things a bit trickier but I scored 1204. My combined scores put me in 8th overall – not bad, particularly as I was shooting new arrows (and increased draw weight) for the first time. Full results here (.xlsx file). This entry was posted in Club Shoots, Competitions, Juniors, News, Seniors by eljetico. Bookmark the permalink.